With all of the bad news and terrifying stories about data breaches lately, it might seem a whole lot easier just to stick your head in the sand and ignore the whole thing… right? Unfortunately… wrong. Failure to comply can create a data breach which can lead to fines, bad PR, and a plethora of other problems for the practice. To help practices be in compliance, here is some really great info from the U.S. Department of Health and Human Services. I’m placing this here in the hopes that it can help others in healthcare. A recent U.S. Government interagency report indicates that, on average, there have been 4,000 daily ransomware attacks since early 2016 (a 300% increase over the 1,000 daily ransomware attacks reported in 2015).1 Ransomware exploits human and technical weaknesses to gain access to an organization’s technical infrastructure in order to deny the organization access to its own data by encrypting that data. However, there are measures known to be effective to prevent the introduction of ransomware and to recover from a ransomware attack. 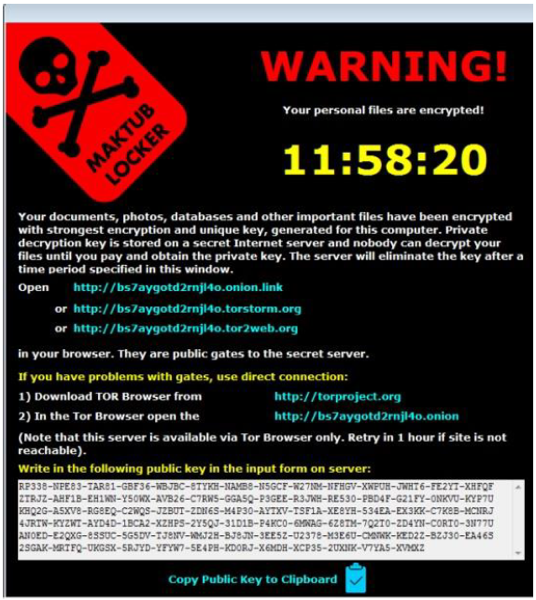 This document describes ransomware attack prevention and recovery from a healthcare sector perspective, including the role the Health Insurance Portability and Accountability Act (HIPAA) has in assisting HIPAA covered entities and business associates to prevent and recover from ransomware attacks, and how HIPAA breach notification processes should be managed in response to a ransomware attack. 2. Can HIPAA compliance help covered entities and business associates prevent infections of malware, including ransomware? 3. Can HIPAA compliance help covered entities and business associates recover from infections of malware, including ransomware? determine if the entity has any regulatory, contractual or other obligations as a result of the incident (such as providing notification of a breach of protected health information), and incorporating any lessons learned into the overall security management process of the entity to improve incident response effectiveness for future security incidents. 4. How can covered entities or business associates detect if their computer systems are infected with ransomware? 5. What should covered entities or business associates do if their computer systems are infected with ransomware? 6. Is it a HIPAA breach if ransomware infects a covered entity’s or business associate’s computer system? Unless the covered entity or business associate can demonstrate that there is a “...low probability that the PHI has been compromised,” based on the factors set forth in the Breach Notification Rule, a breach of PHI is presumed to have occurred. The entity must then comply with the applicable breach notification provisions, including notification to affected individuals without unreasonable delay, to the Secretary of HHS, and to the media (for breaches affecting over 500 individuals) in accordance with HIPAA breach notification requirements. See 45 C.F.R. 164.400-414. 7. How can covered entities or business associates demonstrate “...that there is a low probability that the PHI has been compromised” such that breach notification would not be required? integrity of the data, such additional factors may indicate compromise. In those cases, entities must provide notification to individuals without unreasonable delay, particularly given that any delay may impact healthcare service and patient safety. 8. Is it a reportable breach if the ePHI encrypted by the ransomware was already encrypted to comply with HIPAA? This is a fact specific determination. The HIPAA breach notification provisions apply to “unsecured PHI” (see 45 C.F.R. 164.402), which is protected health information (PHI) that is not secured through the use of a technology or methodology specified by the Secretary in guidance. If the electronic PHI (ePHI) is encrypted by the entity in a manner consistent with the Guidance to Render Unsecured Protected Health Information Unusable, Unreadable, or Indecipherable to Unauthorized Individuals7 such that it is no longer “unsecured PHI,” then the entity is not required to conduct a risk assessment to determine if there is a low probability of compromise, and breach notification is not required. 1 United States Government Interagency Guidance Document, How to Protect Your Networks from Ransomware available at https://www.justice.gov/criminal-ccips/file/872771/download. 2 Exfiltration is “[t]he unauthorized transfer of information from an information system.” NIST SP 800-53 Rev. 4, Security and Privacy Controls for Federal Information Systems and Organizations. (April 2013). 3 Firmware refers to “[c]omputer programs and data stored in hardware... such that the programs and data cannot be dynamically written or modified during execution of the programs.” NIST SP 800-53 Rev. 4, Security and Privacy Controls for Federal Information Systems and Organizations. (April 2013). 4 Adapted from NIST SP 800-61Rev. 2, Computer Security Incident Handling Guide. See also Section 13402 of the Health Information Technology for Economic and Clinical Health (HITECH) Act. Dentsply Sirona World is approaching. As it does, I’ll be sure to have as many updates as possible just to keep you all informed. Here’s the latest. Hats off to the organizers for putting together an app for the entire meeting! Dentsply Sirona, the Dental Solutions CompanyTM, today announced the launch of the Dentsply Sirona World 2018 app for mobile devices. Registered DSW18 attendees are encouraged to download and begin using the app immediately to get a jumpstart on planning their schedules, register for courses, learn more about speakers and sessions, and be among the first to get all the latest event details. Review the full event schedule, including all Breakout and General Sessions, including dates and times. Register for preferred sessions and build your daily agenda. No need to worry about getting lost – access hotel and conference maps to learn your way around the Rosen Shingle Creek Resort before your arrival! Bookmark any of the remarkable speakers and exhibitors you don’t want to miss - all on your mobile device! Make sure you don’t miss any of the once-in-a-lifetime entertainment events, including private performances by Grammy-nominated singer Katy Perry and Grammy- nominated comedian Jim Gaffigan. • Show Dentsply Sirona and your fellow attendees just how much fun you’re having by posting pictures and interacting with each other on the app’s Activity Feed. Registered DSW18 attendees receive an email with instructions on how to download the app onto their preferred IOS or Android device, as well as information on how to use the mobile web version of the app. If you have any difficulty downloading the app, please call the Dentsply Sirona World information desk at 1.844.462.7476. In the world we live in, data moves fast. Unfortunately, that also applies to data involved in data breaches. The bad guys with highspeed ‘net connections can just perform mayhem and thievery faster. It’s sad, but it’s true. The double edged sword that allows us to get so much done in less time, allows hackers to do the same… and to download the data faster as well. Also, it seems like the faster this type of thing happens, the slower companies are to report it to their customers. To that end I give a lot of credit to T-Mobile. The suffered a breach four days ago, and they already have reported it and the info is available to the public. I’m not going to use this post to blast T-Mobile, in the world that exists today, breaches are going to happen. I’m saluting them for getting the info to their customers so quickly. Here is what they have to say in their press release… and actually this could have been a lot worse. On August 20, our cyber-security team discovered and shut down an unauthorized capture of some information, including yours, and promptly reported it to authorities. No financial data (including credit card information) or social security numbers were involved, and no passwords were compromised. However, some personal information may have been exposed, which may have included one or more of the following: name, billing zip code, phone number, email address, account number and account type (prepaid or postpaid). I got a notification. What do I need to do? We wanted you to be aware of this situation. If you have questions, please call Customer Care at your convenience. If you are a Metro PCS customer, just dial 611 from your mobile phone. If you are a T-Mobile customer, you can dial 611, use two-way messaging on MyT-Mobile.com, the T-Mobile App, or iMessage through Apple Business Chat. You can also request a call back or schedule a time for your Team of Experts to call you through both the T-Mobile App and MyT-Mobile.com. As a reminder, it’s always a good idea to regularly change account passwords. I didn’t get a notification! Should I be worried? All affected customers have been, or shortly will be, notified. If you don’t receive a notification than that means your account was not among those impacted by this incident. If you need assistance or have questions about this incident or your account, please contact Customer Care at your convenience. If you are a T-Mobile customer, you can dial 611, use two-way messaging on MyT-Mobile.com, the T-Mobile App, or iMessage through Apple Business Chat. You can also request a call back or schedule a time for your Team of Experts to call you through both the T-Mobile App and MyT-Mobile.com. If you are a T-Mobile For Business or Metro PCS customer, just dial 611 from your mobile phone. What is T-Mobile doing to prevent this from happening again? For you Dentrix users who are blog readers, this is some important info. I’ve just returned from the Henry Schein One Summit and the company has some incredible enhancements and offerings coming soon. I’ll do my best to bring you up to date on these. Here’s the first one, give it a read. Henry Schein Practice Solutions recently joined with a select group of industry-leading companies to form a new company called Henry Schein One. This organization, which includes Demandforce, Officite, Sesame and Dental Plans, combines leading practice management, revenue tools, and patient recruitment and engagement solutions all in one company to help you improve every aspect of your dental business. Helping your business thrive remains our top priority. With one connected platform, your technology tools can talk to each other, share more data and automate more tasks. So your team can work smarter and faster—and improve each step of the patient experience. Optimum Pro - Optimum Pro gives you our proven software support and payment management services and adds a complete set of tools, powered by Demandforce, that allow you to communicate with your patients more efficiently. Ultimate - Ultimate is the top of the line for dental practices that not only want to succeed with revenue cycle management and patient engagement but truly understand the value of digital marketing to maintain and grow their patient base. Along with the eServices included in Optimum Pro, Ultimate pushes practice management into customer retention and acquisition with expertly crafted online marketing, powered by Officite. 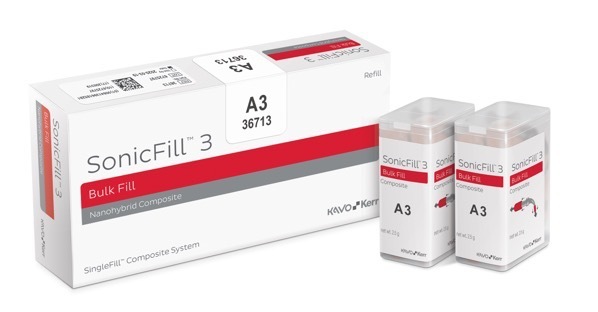 To learn more or to purchase a Henry Schein One bundle, contact us at 800.336.8749. For the rest of my latest article that is appearing in this issue of DPR, head over to the Dental Products Report website. While I try to keep most info here dealing with tech topics or advancements, every once in a while I come across some healthcare info that, while isn’t strictly tech, for sure needs to be disseminated to all of you. So, for today I think it’s important to get the word out on a FDA recall on dosages of a common thyroid medication. Westminster Pharmaceuticals, LLC is voluntarily recalling all lots, within expiry, of Levothyroxine and Liothyronine (Thyroid Tablets, USP) 15 mg, 30 mg, 60 mg, 90 mg, & 120 mg to the wholesale level. These products are being recalled as a precaution because they were manufactured using active pharmaceutical ingredients that were sourced prior to the FDA’s Import Alert of Sichuan Friendly Pharmaceutical Co., Ltd., which as a result of a 2017 inspection were found to have deficiencies with Current Good Manufacturing Practices (cGMP). Substandard cGMP practices could represent the possibility of risk being introduced into the manufacturing process. Levothyroxine and Liothyronine (thyroid tablets, USP) for oral use is a natural preparation derived from porcine thyroid glands. Thyroid tablets contain both tetraiodothyronine sodium (T4 levothyroxine) and liothyronine sodium (T3 liothyronine). Levothyroxine and Liothyronine tablets (thyroid tablets, USP) are indicated as replacement or supplemental therapy in patients with hypothyroidism. Appropriate adjustments of the various therapeutic measures directed at these concomitant endocrine diseases are required. Thyroid is not associated with serious adverse reactions and does not have a known tumorigenic potential. The products subject to recall are packed in 100-count bottles. To best identify the product the NDC’s, Product Description, Lot numbers and Expiration dates are listed below. These lots were distributed nationwide in the USA to Westminster’s direct accounts. Westminster is notifying its direct accounts by email and by phone to immediately discontinue distribution of the product being recalled and to notify their sub-wholesale accounts of this product recall and make arrangements for impacted product to be returned to Westminster. Instructions for returning recalled products are given in the Recall Notice Letter and Recall Response Form. Consumers that have these products which are being recalled should not discontinue use before contacting their physician for further guidance. Here is important info from the Drug Enforcement Agency regarding using mobile devices for issuing electronic prescriptions for controlled substances (EPCS). If any of you are using your mobile devices to issue prescriptions, this info is a very important read. This notice was issued just last we from the DEA Diversion Control Division. Here’s a great piece of news for those of you that are planning on attending the Dentsply Sirona World event that’s coming up in September. The event is being held in Orlando this year and Orlando, of course, beckons with family vacations. To help facilitate things for families, the meeting is providing day care in a safe environment. Read on for the details. If you have children, there is no need to worry about missing Dentsply Sirona World, Sept. 13-15 at the Rosen Shingle Creek Resort in Orlando, because your children now get a chance to have their own fun and educational experience. For just a one-time fee of $600 per child, attendees can drop their children off all day Thursday-Saturday in the Lake Toho room of the Rosen Shingle Creek Resort with Kid’s Nite Out, a family-operated business providing quality and safe childcare during conventions and vacations. 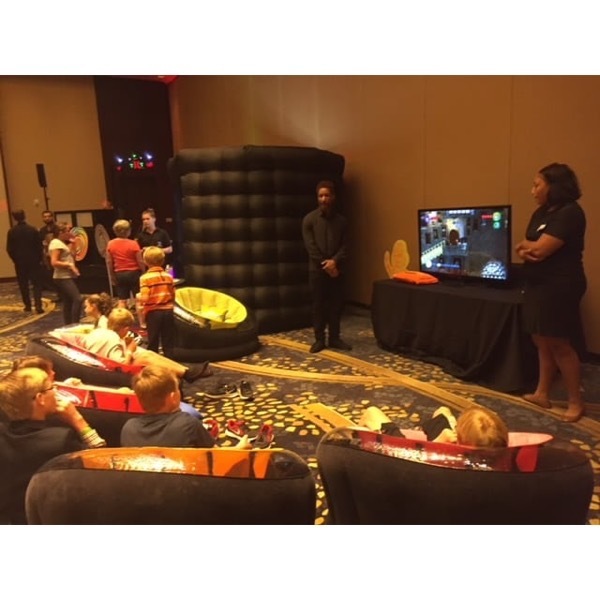 While you are mingling with and learning from the industry’s finest at this year’s Ultimate Dental Meeting, dedicated caregivers and the best staff in the childcare business are keeping your children safe and entertained. Thursday, Sept. 13, 8:30 a.m. – 11 p.m.
Friday, Sept. 14, 8 a.m. – 11 p.m. While Kid’s Nite Out is offering lunch and snacks, parents are expected to give their children breakfast and dinner. The dinner break each day is between 5:30-7 p.m. Kid’s Nite Out will not be responsible for the children during this time. Here is some pretty interesting info from the Dental Industry Association of Canada. This information comes from the Twenty-Second Annual Future of Dentistry Survey. The things you can glean from this definitely point to some trends that I’m confident others are seeing in countries outside of Canada. It’s well worth reading.  Trend towards increasing numbers of dentists in the practice continues, with 11% of practices with five or more dentists. This was 3.4% in 2016 and an average of 6.3% the last 14 years.  Growing percentage of respondents describing their location as Urban (now 62% as compared to 56% last year and 51% in 2016) (average of 53% over past ten years). Drop off is in Suburban locations (falling to 22% from 29% last year and an average of 25% over the past 10 years).  Practices with three or fewer operatories had been generally in steady decline since the survey began, a real drop of 40.2% since 1997.  28% of respondents planning to add at least one operatory as opposed to 22% last year. hygiene days per week, as compared to 44% last year and the average of 38.6% the last ten years). year, where a higher number of specialists responded, the GP/Specialist split on response returned to historical norms in 2018. On an overall basis, dentists treated 11 patients in an average day as compared to the average of 12.5 patients over the last ten years. 89% stated they treated less than 15 patients a day (as opposed to 83% last year and an average of 78.6% over the last four years).  Reinforcing the 2017 results, dentists continue to move into Multi-practice (Group Practice). While the majority (63%) of respondents stated they were in a solo practice, more than a third (34%) are now in a group practice – and these group practices are getting bigger with 24% having 5 or more operatories (as opposed to 17% in 2017). While the two key advantages attracting those in a multi-practice structure were Associate Support (57%) and Buying Power (20%), “Better hours for patients” had growing support this year with 12% of response. The majority of Group Practice respondents (63%) felt they offered a higher standard of care than a solo practitioner. However, a substantial 23% said they did not. This finding is reinforced by the response to the main drawbacks of a multi-practice (Group practice) structure with 21% citing Consistency of Care (#2 response with Conflict with management style #1 at 29%). It is little wonder that “Financial/paying bills/overhead” was the top challenge that respondents intended to address in 2018 (as well as the Top Metric for Success in the opinion of 78% of respondents), with “Getting more patients/keep busy” a close second. The majority (60%) of dental practices now offer patient financing in some fashion, reinforcing results from 2017 (almost one-half (45%) of respondents offered in-house financing while 15% used third party financing) as a way to get those patients. 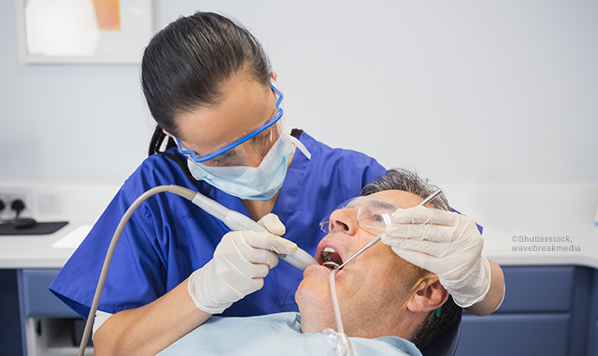 Financial concerns also appear to have impacted on dentists Practice Management CE activities. The top focus is on building “the Numbers”. The highest rated Practice Management topics for 2018 involve building the business of the practice (ranked in order from highest: Leadership Team Development; Revenue Enhancement/Expense Management; Fraud Protection; and Communication/Case Presentation). For the first time, Social Media was mentioned by over 50% of respondents as one of the most popular Practice-Building Tools utilized, still second to “Asking for referrals” but trending rapidly upward from 13% in 2012. This movement to on-line promotion mirrors where dental patients are telling practitioners they are getting information on dental treatment options. According to the survey, Internet achieved another all-time high rating and was ranked as the top patient source for the third straight year. This was followed by the more traditional sources of Family members, friends, etc. and Dentist/Dental Team presentations. A total of 414 practicing Canadian dentists responded to this year’s survey with a good proportional distribution across all regions of the country. Based on this response rate, overall 2018 survey results have an accuracy of +/- 4.7% 19 times out of 20. Beware of iOS Phishing Scam that Promises to Connect You to "Apple Care"
The smart people at website Ars Technica lately have uncovered and reported on a pretty sneaky way that bad guys are using to attempt to get users to give away their personal data. As I’ve preached here many times, usually the most vulnerable chink in the security armor, is the human one. Social engineering goes back about as long as humans do and nobody knows that quite like the nefarious types that inhabit the online criminal world. To that end, now the crooks have come up with a way to trick iPhone users into calling into the bad guy call centers and actually “volunteering” to give away their information. This particular phish, targeted at email addresses associated with Apple's iCloud service, appears to be linked to efforts to fool iPhone users into allowing attackers to enroll them into rogue mobile device management services that allow bad actors to push compromised applications to the victim's phones as part of a fraudulent Apple "security service." So… basically the user is tricked into thinking their phone is compromised and will be shutoff unless they call a number. Once you call, they use social engineering tactics to get your username and password or to install rogue applications. Either way, once that happens… they own your device. So be alert! There are lots of scams out there and the only reason they exist is because, sadly, they work on more than enough honest people to make the effort profitable. Here’s a link to the entire Ars Technica story on the issue. It’s a somewhat complicated read due to some short descriptions on coding & the web pages involved, but I feel it’s well worth your time to read it. According to a recent study that appeared in JAMA Internal Medicine, larger medical facilities are more likely to suffer from data breaches. This makes a certain degree of sense. Larger institutions certainly have more patient data stored in the EHR (Electronic Health Record) and, therefore, make a more practical target for attackers. By going after larger databases, hackers can get more info per intrusion. Obviously, even in the world of data theft, economies of scale exist. There is also the matter of simple computer security. Larger organizations will have more computers, connected devices, etc that need to be patched and kept updated with the latest security enhancements. One small door is all that is needed and in big hospitals, there are more “electronic doors” and therefore, greater odds of finding a device to exploit. Then there is the matter of employees and security protocols. The sheer number of people with access to data means more opportunities for a phishing attack or any of a myriad other things that might leave data exposed. While I agree with the odds increasing as the amount of patient data increases, it should be noted here that data breaches, hacking, and RansomWare are an all to frequent occurrence in small practices as well. My good friends at DDS Rescue tell me that their help is frequently required by customers that have either been locked out of their data by RansomWare or some type of malicious hacking break in. These situations can happen to anyone. You need to be prepared and DDS Rescue can help you with hacking incidents. The full article with links and a downloaded pdf is available here. 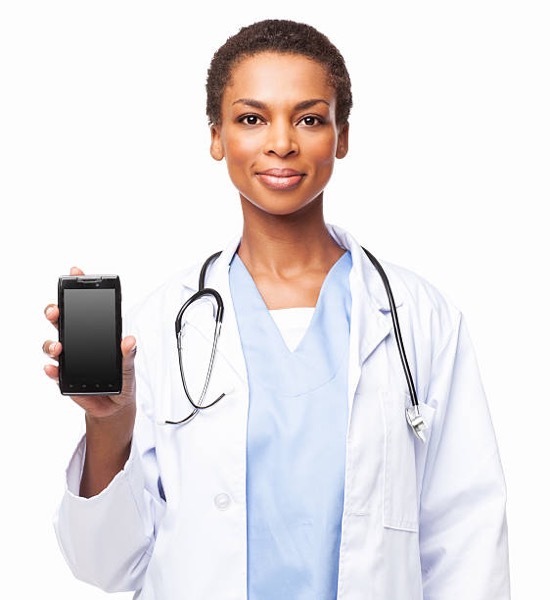 As the adoption of electronic record and health information technology rapidly expands, hospitals and other health providers increasingly suffer from data breaches.1 A data breach is an impermissible use or disclosure that compromises the security or privacy of the protected health information and is commonly caused by a malicious or criminal attack, system glitch, or human error.2,3 Policy makers, hospital administrators, and the public are highly interested in reducing the incidence of data breaches. In this retrospective data analysis, we use data from the Department of Health and Human Services (HHS) to examine what type of hospitals face a higher risk of data breaches. Under the Health Information Technology for Economic and Clinical Health Act of 2009, all heath care providers covered by the Health Insurance Portability and Accountability Act must notify HHS of any breach of protected health information affecting 500 or more individuals within 60 days from the discovery of the breach. 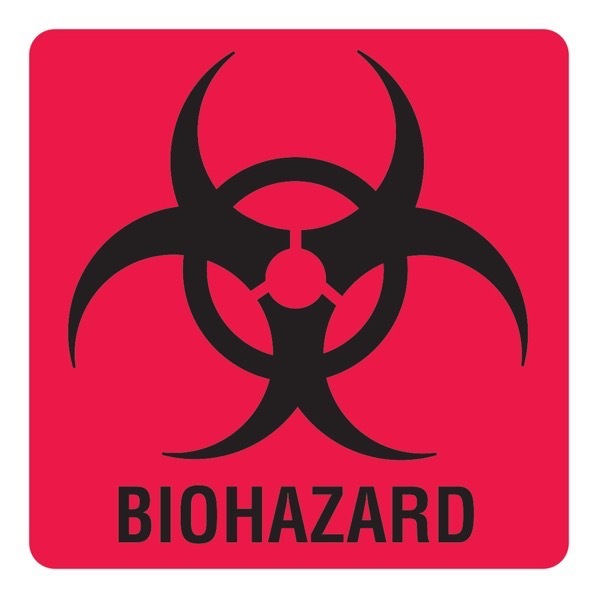 The Department of Health and Human Services publishes the submitted data breach incidents on its website, with the earliest submission date as October 21, 2009. We were able to link 141 acute care hospitals to their 2014 fiscal year Medicare cost reports filed with the Centers for Medicare and Medicaid Services (CMS). The unlinked hospitals include long-term care hospitals, Veterans Affairs and military hospitals, hospital systems, and hospitals unidentifiable in the CMS data set. We applied multivariable and regression analyses to compare these 141 hospitals with other acute care hospitals to understand what type of hospitals face a higher risk of breaches.4 Statistical analysis was performed with SAS 9.4 (SAS Institute Inc) and STATA 14 (StataCorp LLC). For statistical analysis, t tests were used, and P < .05 was considered significant. Between October 21, 2009, and December 31, 2016, 1798 data breaches were reported.5 Among them, 1225 breaches were reported by health care providers and the remaining by business associates, health plans, or health care clearing houses. There were 257 breaches reported by 216 hospitals in the data, with median (interquartile range [IQR]) 1847 (872-4859) affected individuals per breach; 33 hospitals that had been breached at least twice and many of which are large major teaching hospitals (Table 1). Table 2 lists hospitals with more than 20 000 total affected individuals. For the 141 acute care victim hospitals linked to their 2014 CMS cost reports, the median (IQR) number of beds was 262 (137-461) and 52 (37%) were major teaching hospitals. In contrast, among 2852 acute care hospitals not identified as having breaching incidents, the median (IQR) number of hospital beds was 134 (64-254), and 265 (9%) were major teaching hospitals. Hospital size and major teaching status were positively associated with the risk of data breaches (P < .001). A fundamental trade-off exists between data security and data access. Broad access to health information, essential for hospitals’ quality improvement efforts and research and education needs, inevitably increases risks for data breaches and makes “zero breach” an extremely challenging objective. The evolving landscape of breach activity, detection, management, and response requires hospitals to continuously evaluate their risks and apply best data security practices. Despite the call for good data hygiene,6 little evidence exists of the effectiveness of specific practices in hospitals. Identification of evidence-based effective data security practices should be made a research priority. This study has 3 important limitations. First, data breaches affecting fewer than 500 individuals were not examined. Second, since each victim hospital was matched to CMS cost report based on the name and state, the matching might be incomplete or inaccurate for some hospitals. Finally, our analysis is limited to the hospital industry. Future studies that examine the characteristics of other types of health care entities that experienced data breaches are warranted. Here is an interview shot recently for Dental Products Report. There is a growing interest in providing in office milling for different types of dental materials. Since the industry began to embrace the Open Source concept, allowing for mixing and matching your preferred digital impression system with your preferred in office milling system, many doctors are considering the possibilities all of this entails. If you are wondering about the kinds of things an in office mill can do for you, watch this video and learn from a doctor who is using one in his advanced practice every day. 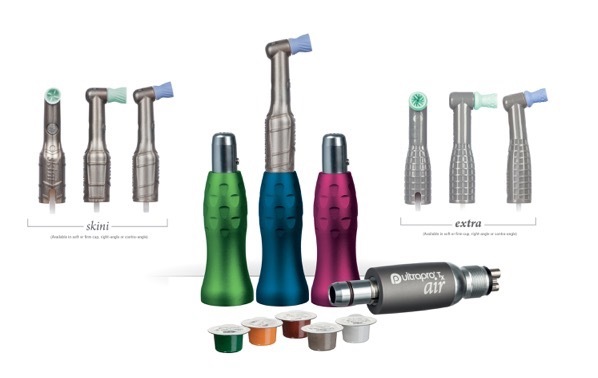 For more info about Axsys Dental and their products, head over to their webpage. Finding caries beneath intact restoration margins is a challenging clinical problem. Glass Ionomer and Compomers are radiopaque and reflect light from their respective surfaces. The study found that visual examination could not detect caries. The glow or fluorescence from the restorations prevented Spectra from detecting any marginal caries. DIAGNOdent was unable to consistently differentiate sound from carious tissue at various distances from the restoration margins. It was able to detect between 20% - 70% of the lesions beneath the restorations depending upon the distance from the margin. The Canary System was able to detect 91% - 100% of the lesions around the restoration margins. This study demonstrated that The Canary system is a valuable diagnostic tool for detecting caries that develop around and beneath the margins of glass ionomer and compomer restorations. The Canary System, with its unique crystal structure diagnostics, can, quantify, image, monitor and record changes in the structure of enamel, dentin and cementum. It can detect caries beneath opaque sealants, around the margins of restorations, around orthodontic brackets and beneath interproximal, occlusal and smooth surfaces. 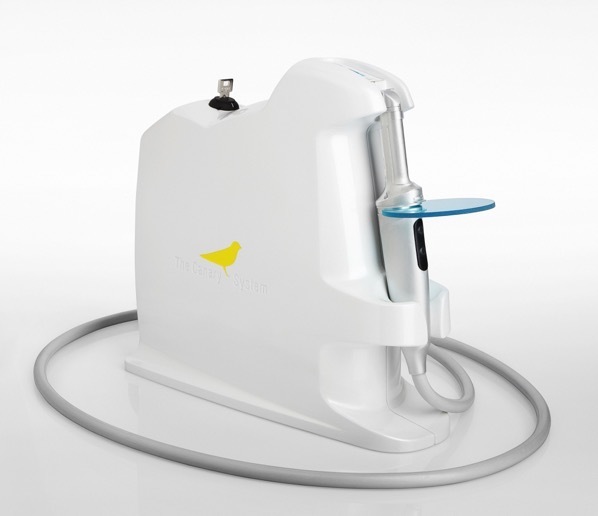 The Canary Cloud enables dentists to view and analyze this data and track Canary usage in their office. For years now I’ve been a fan of FIRST Lego League. The FLL teaches kids about robotics and programming in a friendly competitive environment that teaches kids amazing skills that allows those interested in STEAM to expand their horizons. I’ve even been lucky enough to attend some FLL competitions and they are amazing. The ability of youngsters to utilize technology is truly incredible. ― FIRST® (For Inspiration and Recognition of Science and Technology), an international, K-12 not-for-profit organization founded to inspire young people’s interest and participation in science and technology, announced that the 2018-2019 FIRST LEGO League and FIRST LEGO League Jr. seasons task students to explore the challenges of living in and traveling through space. For the FIRST LEGO League Jr. MISSION MOONSM and FIRST LEGO League INTO ORBITSM Challenges, FIRST collaborated with experts in the fields of aerospace education, astrogeology, human physiology in space, space exploration technology and more. These experts made up the Challenge Advisory Team, which included representatives from European Space Agency, NASA, Buzz Aldrin Space Institute, International Planetarium Society and U.S. Geological Survey, among others. These specialists collaborated with FIRST to create a theme and challenge missions that reflect the physical and social problems associated with long-duration space flight. Team registration for both programs is now open. The 2018-2019 MISSION MOON Challenge will reach over 85,000 children, ages 6-10, from 55 countries and help them learn about the Earth’s moon and what is needed to live there. Each year since 2004, FIRST LEGO League Jr. presents a new and exciting challenge to ignite creativity in young children. This year, while exploring the real-world theme of space, teams will use LEGO® Education WeDo 2.0 to build and program a model that moves, learning basic engineering and programming concepts. They will also illustrate their research through a Show MePoster. Throughout their experience, teams will operate under the signature set of FIRST Core Values, which emphasize discovery, inclusion, innovation and fun. As part of the annual registration fee, teams receive an exclusive LEGO Education Inspire Set containing 700+ LEGO® bricks and elements teams can use to construct their team model. In this set will also be a yearly model – a rocket for this season – that serves as a starting point for teams. In the 2018-2019 INTO ORBITSM Challenge, roughly 320,000 children, ages 9 to 16*, from nearly 100 countries will explore how to solve the physical and social problems associated with long-duration space flight, and propose solutions for any issues they identify. FIRST LEGO League challenges kids to think like scientists and engineers. During the INTO ORBIT season, teams of up to 10 students will choose and solve a real-world problem in an open-ended project. Teams will also build, test, and program an autonomous robot using LEGO® MINDSTORMS® technology to solve a series of space-themed missions as part of the Robot Game, which include: growing food in space; fighting muscle atrophy in orbit; collecting samples; and more. The exclusive LEGO models that line the field were inspired by the stories and experiences of STEM professionals who represent the many fields and roles needed to send humans to space. Throughout the season, teams will operate under the signature set of FIRSTCore Values, celebrating discovery, innovation, inclusion and fun. FIRST LEGO League Jr. and FIRST LEGO League are two of four international K-12 STEM (science, technology, engineering and math) robotics programs in a Progression of Programs offered by FIRST®. This season, FIRST LEGO League anticipates over 40,000 teams will compete in more than 1,450 Qualifying and Championship Tournaments globally. Select teams will be invited to participate at two FIRST LEGO League World Festivals, to be held in conjunction with the FIRST Championship, April 17-20, 2019, in Houston, and April 24-27, 2019, in Detroit. LEGO Education is a founding partner of FIRST LEGO League Jr. and FIRST LEGO League. FIRST LEGO League Jr. receives global support from LEGO Education. FIRST LEGO League is delivered annually through the support of global sponsors LEGO Education, 3M, NI and Rockwell Automation.